Fundraising Goal: $2600 Received: $2600!!! For our global outreach project this year Thunderbeard will be visiting the active volcanic island of Montserrat in the Eastern Caribbean this April. We are excited to announce that we will be working with Scuba Montserrat to build Thunderbeard Reef as part of the larger Montserrat Reef Project. 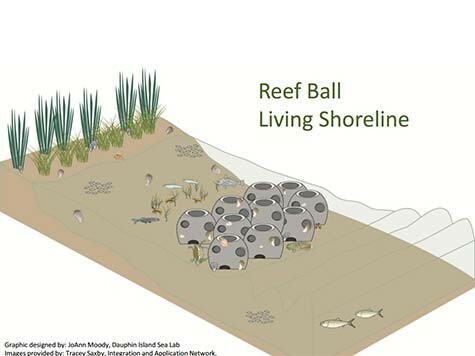 This will consist of constructing 8,000 lbs of concrete scaffolding, known as "reef balls", then transporting them to the shore to be arranged on the seabed. We will then propagate local imperiled corals to the reef to provide a safe and natural environment for species displaced by the volcanic eruption and subsequent development of the northern half of the island. The reef balls are specially designed to create a healthy and protected ecosystem for fish and corals, including features that allow coral to anchor securely, and nutrients to flow throughout the structure. Our goal with this project will be to create a site that we can return to and monitor as the corals continue to grow and aquatic species take up residence. En route to Montserrat we will stop in Antigua, and will be working alongside Environmental Awareness Group of Antigua and Barbuda to volunteer at the 30th anniversary Antigua Classics Regatta in the UNESCO World Heritage Naval Dockyard. We are proud to help them attempt to achieve a gold level Clean Regatta Certification from Sailors for Sea Clean this year. These trips are a great opportunity for us to build relationships in the global environmental community, and expand our knowledge and experience in new areas of conservation. By creating a portfolio of successful missions we are able to showcase our abilities, in order to access and participate in larger projects and events in the future. We appreciate all of your continued support and goodwill.